Jane Stanley graduated from the University of Nebraska Medical Center and was certified in Postural Restoration by the Postural Restoration Institute in Lincoln, NE in 2008. She has worked in the Sioux City area for the past 14 years. Her clinical experience in traditional physical therapy and the PRI approach has allowed for successful management and treatment of many complex conditions involving the pelvis, spine, hips, knees, shoulders and ribcage. She has a strong passion for treating runners, athletes, spine dysfunctions, breathing dysfunctions and women's health. Jane is married and has 3 children. She and her family are active in coaching, sports, exercise/yoga, outdoor activities and traveling. Melissa Tieck-O'Connor is a Sioux City native. 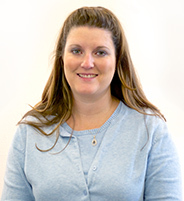 She graduated from North High School in 1994 and from the PTA program at WITCC in 1998. She started working as Jane's assistant in 2000 and has been working with her for the better part of the last 12 years. She has had many continuing education courses through the Postural Restoration Institute out of Lincoln, NE. She has a strong passion for patient education and helping patients how to learn how to live without pain. 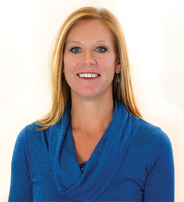 She has had extensive experience in orthopedics, sports medicine, pilates, pediatrics and worker's compensation. Melissa is married and has a son at home. She enjoys, scrapbooking, boating, camping, hiking, and helping with boy scout activities.